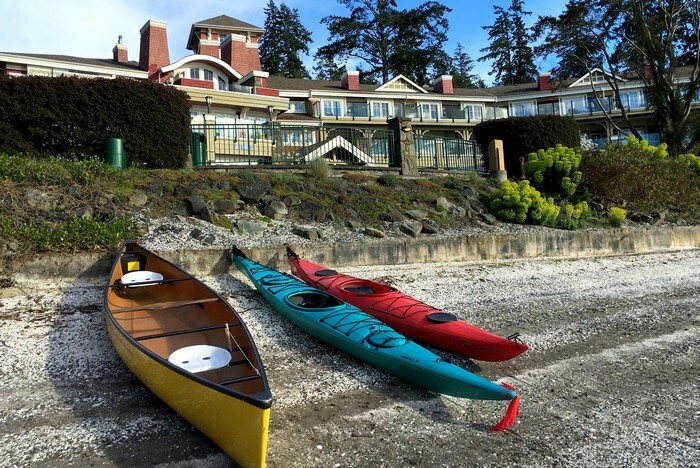 A few weeks ago we wrote a blog post about our trip to South Pender Island, specifically to Poets Cove Resort and Spa. 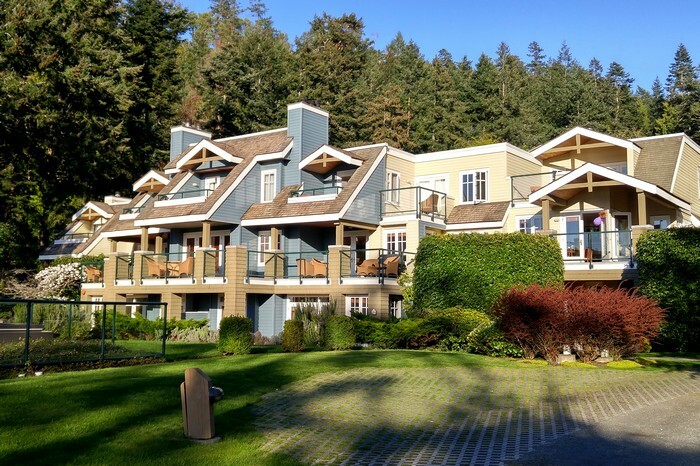 This luxury resort is located in beautiful Bedwell Harbour on the southwest side of Pender Island, which is a part of the Southern Gulf Islands archipelago. We stayed in a spacious 2 bedroom cottage with a private hot tub. Prior to the trip, we were curious to see what the cottages looked like on the inside. We searched online and found several photos of the outside of the resort and cottages, but we found very few images or videos from the inside of the cottages. 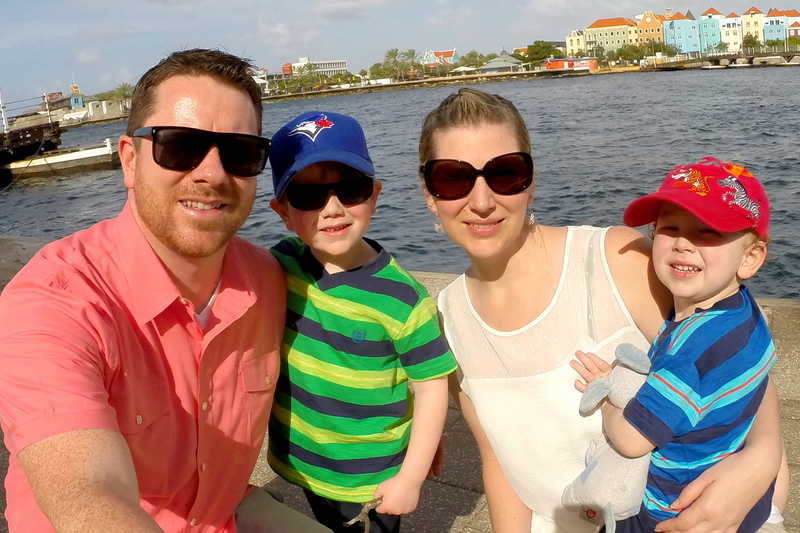 So, we made sure we captured plenty of photos and videos on our brief visit. Below is a video tour of the private 2 bedroom cottage. We shot this video with a GoPro Hero 3. We like the wide lens of the GoPro but the video stabilizer on this model is not very good, so it’s a little wobbly in some sections of the video. The master bedroom comes with a king size bed and an en-suite bathroom with a deep bathtub and separate shower. The room is quite spacious and comfortable. Master bedroom en-suite bathroom. Separate shower and deep bathtub. The other bedroom comes with two twin-sized beds. This worked out great for us. Our boys each got their own bed that was the same size. If you have boys that are close in age, you know what I’m talking about. It prevents the “he got the bigger bed” meltdown that sometimes often happens. There’s also a pull-out couch in the living room if your family is bigger than four people. 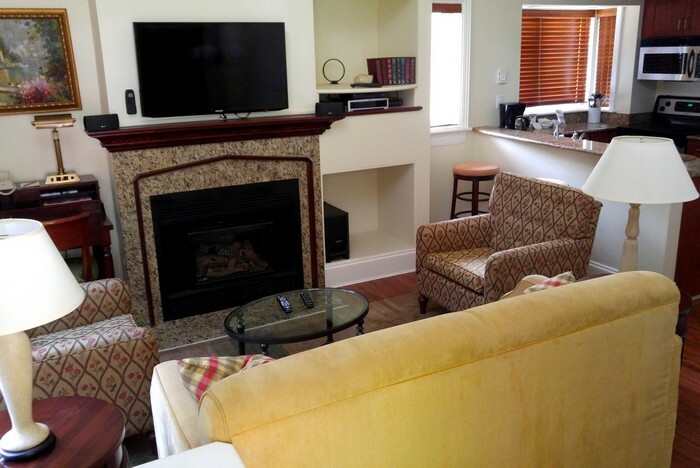 There are TV’s in each room with local cable television provided. The living room has a pull-out couch, two large chairs and a dining table that seats four people. Each cottage is slightly different. The fireplace was perfect in the evenings. We visited in late April, so the evenings were still quite cool. The kitchen is fully stocked with everything you need, including a coffee maker, pots and pans, utensils and dishware. You really don’t need to bring anything except your food and drinks. The private cottages also have a dishwasher and washing machine/dryer for laundry. The hot tub was a BIG hit with our oldest boy. Minutes after waking up each morning he would say, “can we go in the hot tub now?” He must have gone in the hot tub at least 10 times over the 3 days we were at Poets Cove Resort. This was the view from our patio. It was a complete ocean view, but we could see the water behind the neighbouring cottages in front. There’s also a barbecue on the patio. 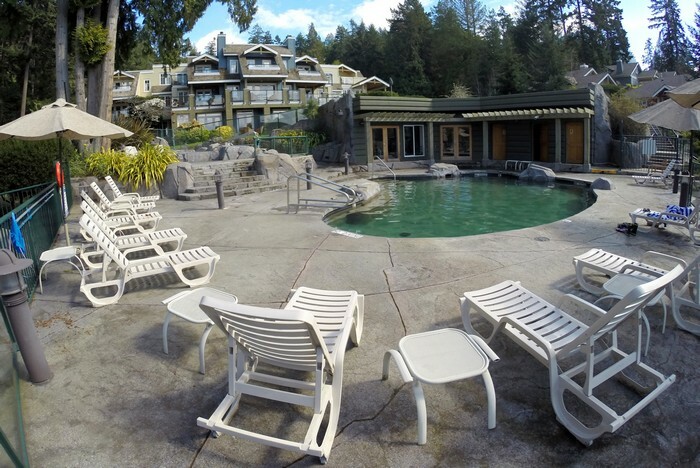 There are two heated pools at Poets Cove Resort. The photos above show the adult swimming pool and fitness center. The other pool is bigger and geared towards families. It’s located in front of the marina and is only open during the summer months. During our visit in April the family pool was not yet open. The adult pool was open and kids are allowed to swim here during the shoulder season. Syrens Bistro is located within Poets Cove Resort, so you don’t need to travel far for a great meal with a view. The atmosphere is ‘upscale casual’ and the menu features West Coast cuisine and standard bistro items (burgers, sandwiches, pizza, salads, etc). The patio is a great option when the sun is shining. The harbour views are outstanding. Delicious and fresh salad served at Syrens Bistro. Simple margarita pizza with pesto served at Syrens Bistro. Freshly baked pastries served at the Aurora restaurant breakfast buffet. Those multi-grain croissants literally melted in my mouth. Arguably one of the best croissants I’ve ever had. Evening views of Bedwell Harbour from the lobby balcony. The resort has a rocky beach located directly in front of it, which is very convenient. 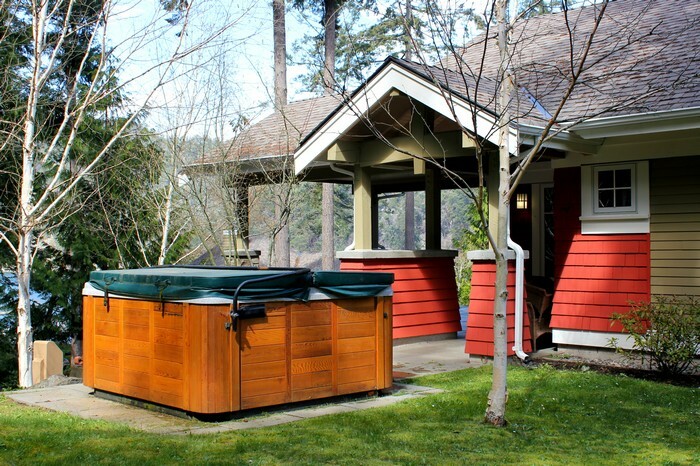 Outside view of one of the private cottages with hot tub. There are multiple buildings that offer a variety of room sizes and styles. Most of the rooms are waterfront facing and have large balconies. Read more from our trip to Poets Cove and South Pender Island. To learn more and/or find out prices, visit the Poets Cove Resort website. Poets Cove Resort looks like an amazing destination! The food looks delicious, the view is gorgeous cottage is stunning! So great! And the views are really awesome. Poets Cove Resort is beautiful from the outside as well as inside too! Looks like you had an amazing time there! The video and the pictures helped a lot to understand the surroundings well. Thanks for sharing your visit with us! Thanks! glad you could see the property well. We really loved it. Poets cove resort is really beautiful and seems quite relaxing in a luxurious way. It gives a feeling of just be there and forget about rest of the things. Seeing such places gives me a feeling that yes I deserve better life. It’s a wonderful resort. A perfect destination to spend some lazy time in luxury. Thanks for sharing it. Your took me back! 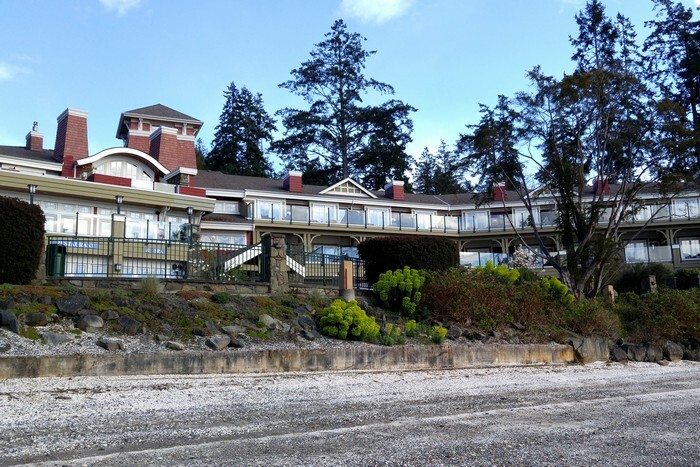 I once spent a summer on Gabriola Island but my digs weren’t this nice. Cheers! Thanks Jeff. The hottub was really nice and the cottage had everything we could need. We really enjoyed our stay.